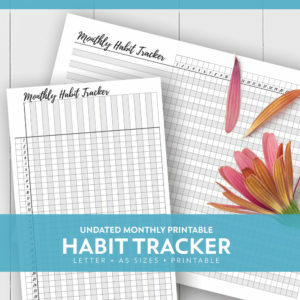 I’m in love with my habit tracker. 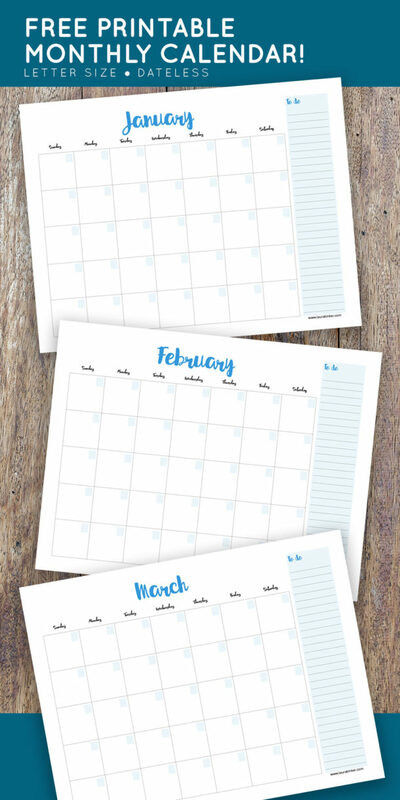 Every month I discover new and interesting things to track. 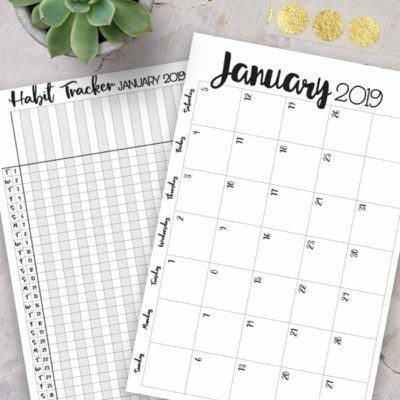 It’s a wonderful way to adopt new habits, keep track of work tasks that need to be done repeatedly (like posting on social media) and keep yourself moving forward towards your goals. 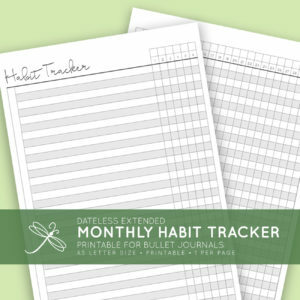 If you’re anything like me, I find great satisfaction tracking my progress. 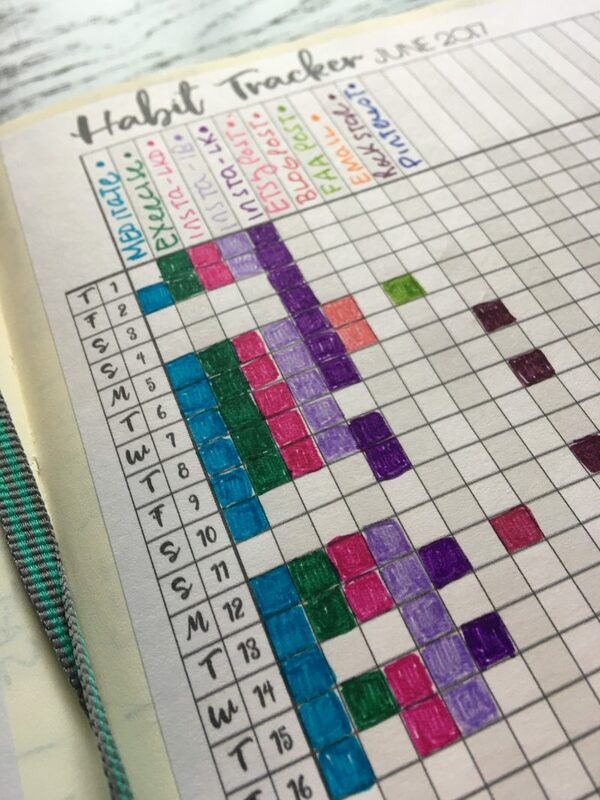 It feels good to color in the boxes as I complete something, knowing I’m on track and keeping my promises to myself. Not everything needs to be done everyday (you’re the judge of that) but keeping track of your habits and tasks in this way allows you an instant visual of what you’ve been doing along with what you haven’t been doing. It can be really eye opening. You may think you’re doing something more than you are (like exercising) or may be pleasantly surprised to see that you’re really on track with something (like meditation). 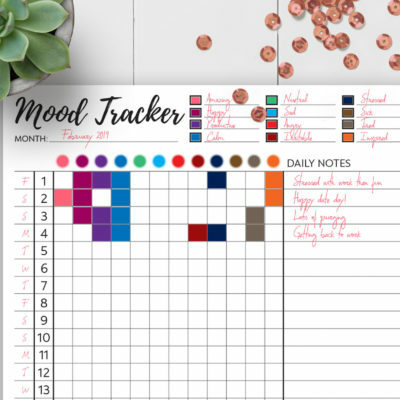 What you track is up to you. Start by looking at your goals and how you want to live your life. Is there anything you want to change (like lose weight, get more sleep, increase website traffic, etc)? Once you know what you want to change, decide what’s the best way to make this change. Start with small easy steps. 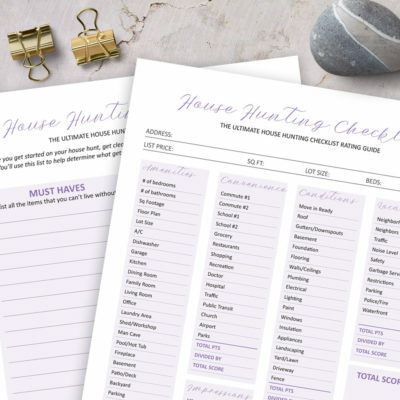 What are some things you can track to help you achieve the change you desire? 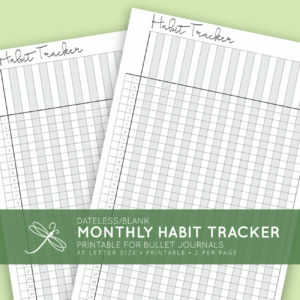 These are the things to put on your habit tracker. Drank 8 glasses of water. Walked a specific number of steps. Went to sleep at a certain time. Woke up at a certain time. No electronics (at all or after a certain time). No TV (at all or after a certain time). 8 hours of sleep (or whatever works for you). 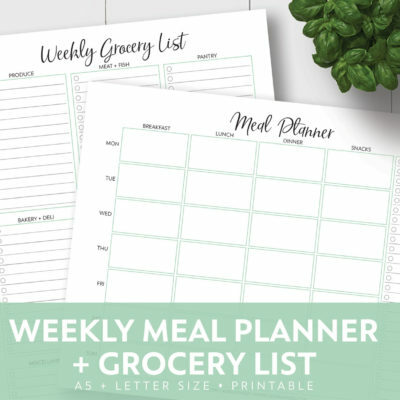 Etsy (or other website that matters to you) posts. Practice (whatever makes sense for you to practice for your career, like writing). Marketing (get specific with what this means to you to make it easier to track). Admin work (like bill paying, etc). Track progress on a project. Wake up at a specific time. Date night (with significant other). Pet care (grooming, cleaning, walking, etc). Quick clean (doing 10 to 30 minute bursts of cleaning every day). 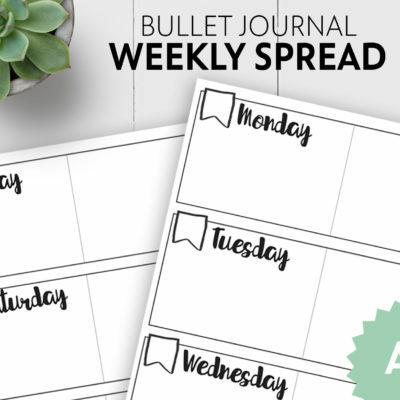 Visit the MARKETPLACE for all the bullet journal printables, including habit trackers.